Are you worried about your personal loan rejections? We are here to help you out. Why not apply for Tata Capital First Personal loans. TATA capital is a subsidiary of TATA sons limited; one of the most diversified and well-appreciated groups of India. It is a Non-Banking Financial Company (NBFC) which offers services in the areas of loans and other financial arenas and caters to their customers across the country through their 100 branches spread nation-wide. Registered as a systematically important non-deposit accepting NBFC with the Reserve Bank of India, the institution provides various operations across commercial finance, consumer loans, and distribution, wealth management along with the marketing of TATA limited cards. 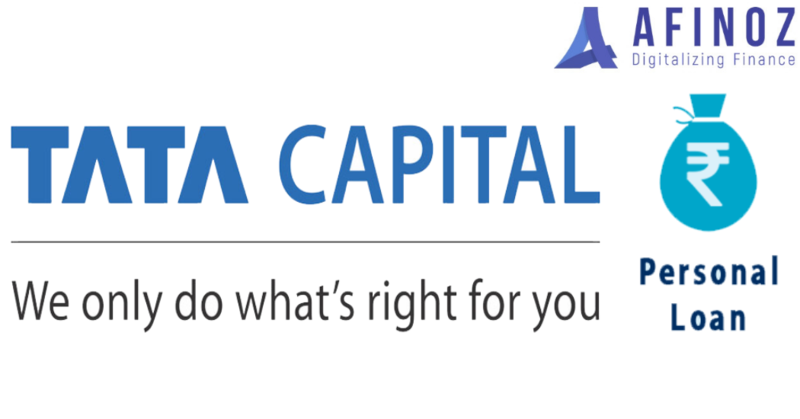 Why Tata Capital Personal Loan? Tata Capital offers unique and flexible personal loan options to the borrowers. They understand your needs better than the most. With Tata Capital, you will get an instant personal loan in a hassle-free manner and at competitive personal loan interest rates. You can avail a Tata Capital personal loan pretty much for any purpose- from traveling and wedding and to cover education expense and many more. With Tata Capital, you can avail a personal loan amount in the range of Rs 75,000 to Rs 25,00,000. Repay the loan within a flexible tenure of 12 months to 72 months in the form of EMIs. Employment certificate- A certificate from your employer, stating continuous employment. Afinoz.com is India's foremost online financial marketplace for availing loans and investments. We work with public and private banks, NBFCs and mutual fund houses across the country and offer an unbiased quotation on financial products. We can help you to avail a Tata Capital Personal Loan through our online platform which is safer, convenient and hassle-free. Solutions provided by our experienced experts are quick, reliable, transparent, confidential and above all, free. To know more, you can contact our team by calling on +91 120 411 0376 or by emailing at info@afinoz.com.